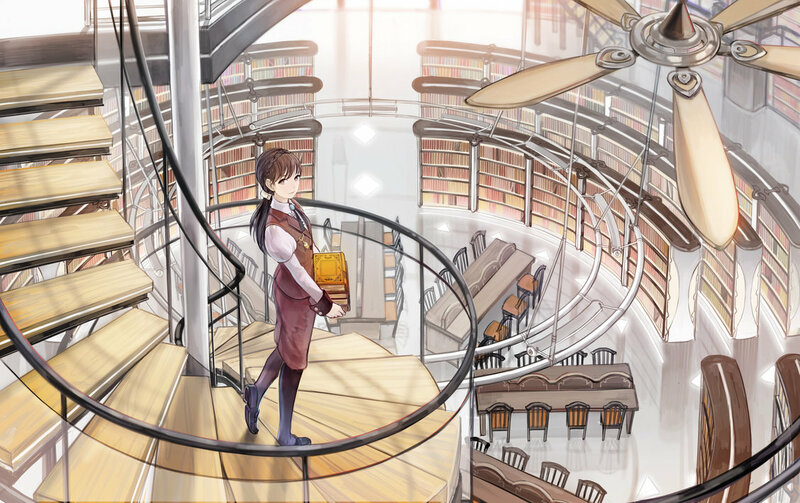 On the last day of the school year, 14-year-old Ichika Tachibana comes across an old, busted mirror in an unused campus building. When Manatsu, a mysterious girl from inside the mirror, steps out and offers her friendship for the summer, she also offers Ichika magical powers. Now, Manatsu must help Ichika unlock the powers of the 12 Djinn in order to complete her magic training… but perhaps this is something that will prove too difficult a task. Some offers may appear to be too good to be true and this one just may turn out to do more harm than good. The mahou shoujou genre is one that falls into various maladies that keeps it from being compelling let alone relevant with most of its older audience members. With Uta Kata, a re-imagining of the formula, those common aliments have been mostly relieved as it takes fourteen year old Ichika Tachibana and her guide, Manatsu on a journey of hardships and trials as Tachibana learns about the best and worst of the world around her through the perspective of the magical Djinn that she must use. 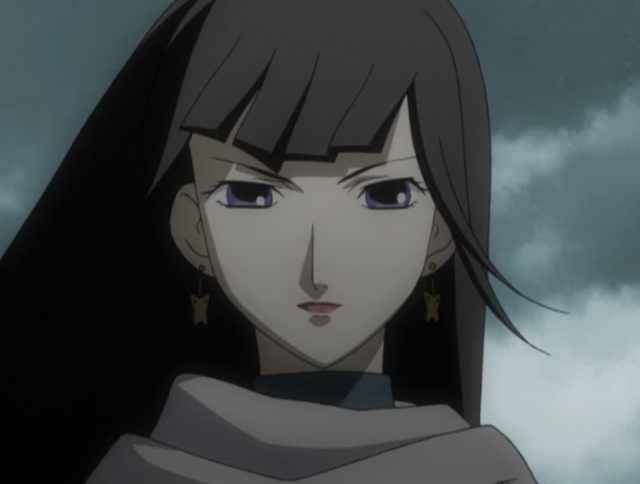 While the Djinn can grant Ichika the power of miracles, they also grant and teacher her about the darker side of life and the same that dwells in the hearts of humanity. Each Djinn centering around Seven Virtues and later as the series progresses, seven sins (inversions of the Virtues) Ichika is shown a momentary picture of the world and experiences these feelings for herself as she undergoes her ritual. 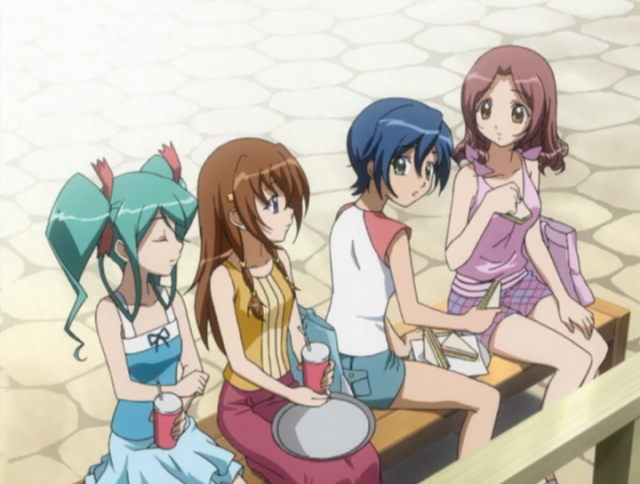 Over the course of twelve episodes as Ichika taps into the Djinn’s power for the sake of friends and self as required, but eventually in the later half of the series, uses them for selfish and malicious purposes; slowing erasing the Ichika Tachibana that hates to lie and works hard to someone she can hardly recognize. As it takes on various themes such as: eating disorders (one side effect for using the Djinn), child abuse, nature of life, and others; Uta Kata is anything less than emotionally compelling compared to others in its class. Dark and unconventional yet cute and covered in a sugar-coated facade, the series writing and superb execution is more like a beneficial aid to what presents. While it does still suffer from a few nuisances within the story (I.E: excessive foreshadowing) Uta Kata is well worth the minor trouble; especially when it comes to the heart of its finale that is culmination of all that is examined in the series. Her final trial in the series and throughout it, oddly resembles a coming-of-age ritual, but one for a new age. Apart from Ichika and Manatsu, the other characters in the series also are quite interesting and play into the story’s themes rather nicely. 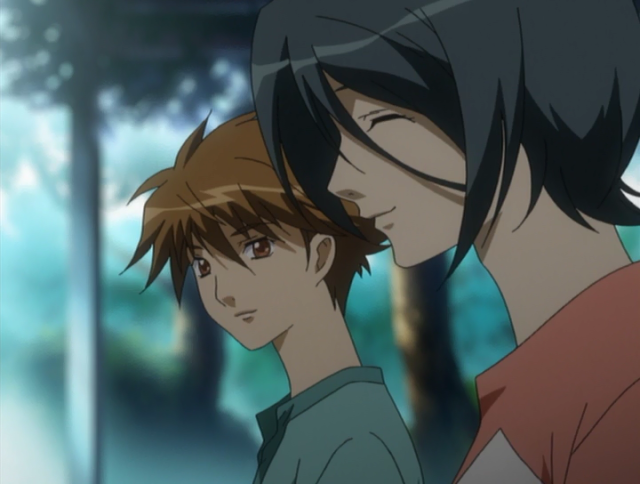 Ichika’s circle of friends such as: Keiko Takamura (a good nature girl from a strict family), Satsuki Takigawa (tomboyish girl with a split family and aversion to specific guys from a childhood memory) and Michiru Munakata (a quiet and thoughtful girl with a weird link to the spirit world) act as both unknown proponents to the Djinn’s use and focal moral points in a few episodes as they go through struggles of unrequited love, nature of friendship, as well as the aforementioned and all matters of adolescent ripening. 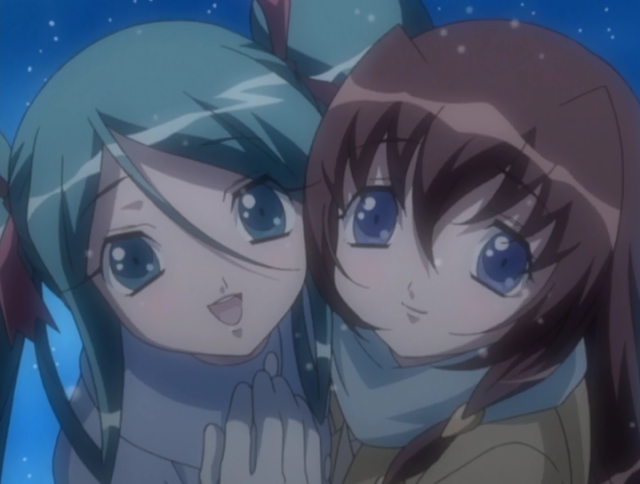 Ultimately, Ichika uses the experience gained from her friends as well as her mysterious tutors Sei and Kai (with their own related story) when it comes time for her final trial that results in a not so simple choice. 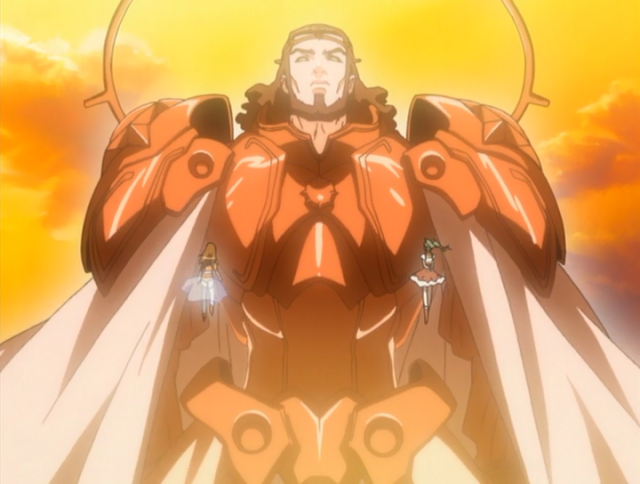 Hal Flim Maker acts as the leading production studio for the project, known for such projects such as: Aria, 3X3 Eyes, and Angel Sanctuary to name a few. The animation for the series is highly reminiscent of these previous titles, but also just as plain when it comes to show casing the animation and artwork together. However, the studio does manage to manipulate a few elements (light, etc) to give it a little polish. Nearly the same can be said for its soundtrack; that is nicely done, yet also somewhat static with most pieces ranging between a light and somber piano concertos and the rest between listless strings pieces and synthesizers. It’s neither good or bad, but it works. Uta Kata is not exactly “glittering gold”, but fine nonetheless and worth watching if you are fan of coming-of-age titles fused with the mahou shoujo/supernatural subset and want to see it done somewhat different from the herd. It takes very dualistic doctrine to its storytelling, but not at all heavy-handed in presenting it. Shame its roundabout storytelling diminishes some of the bite that made it so compelling. Regardless of where it falls short, it refreshing to see Uta Kata do what it does and that is creating a very pleasant and contemplative series. A blending of the mahou-shoujou genre and dualistic underpinnings of life makes Uta Kata like how a good cake should be: appealing on the surface, yet flavorful and sweet underneath. Cons: Static narrative, bland aesthetic use and choices. I forgot what I said about this one a while back in your old blog but I remember saying I liked it for what it was.